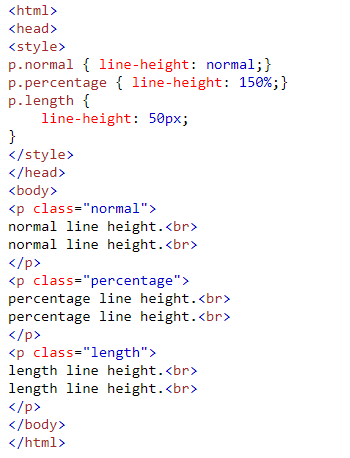 What is Line Height in CSS? - Line Height property defines amount of height in which text content is written in HTML. This is default Height line, generally around 100% to 120%. e.g. : Default Height line in word document. A number that will be multiplied with the current font size to set the line height. Fixed Length in px, pt etc. % of current font size.